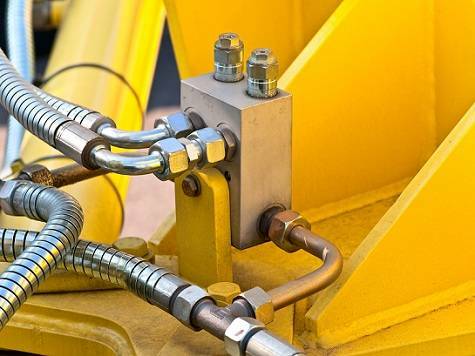 The loss of performance by hydraulic fluid systems is a rather important problem because it leads to serious issues with turbine system performance and safety. The loss of performance is normally caused by failures and damage in the regulation, lubrication and the sealing systems of the generator shafts. The problem has become increasingly important because many power generation facilities are approaching the end of their service life and require increased attention and maintenance. But, the current methods and devices for oil quality control, as well as oil purification equipment, are often obsolete and far from efficient further compounding the power company’s problems. The International Standards Organization (ISO) recommends that reliable operation of turbine systems requires that the amounts of particulate matter in circulating turbine oils be kept to between 3 and 25 microns. (See ISO 4406). Anything larger can have adverse consequences on your turbine equipment. These limitations are due to the fact that the distance between the support and the bearing pad with max load is 10 microns. At start up, the lubricating layer of oil on the bearings is between 5-8 microns. Most turbine regulation systems include spools and sleeves with radial clearances of between 50 to 100 microns. If the spools rotate between them and the bearing box, the clearance should be set to between 10 to 25 microns. The functioning of the turbine regulation system may be accompanied by failures due to solid contaminants that accumulate in the gaps in the regulation assemblies and spool clearances. Serious damage may be caused by foreign particles entering the support bearing which may lead to a disruption of the pad setting. If the turbine oil is contaminated by foreign substances and/or water, it will inevitably lead to over heating during operation and will cause premature failure of the bearings. Such operation also makes the regulation system operation unstable and will cause additional unscheduled repair costs. If the oil becomes contaminated and loses its ability to perform its intended purposes, it must be changed. But, that will significantly increase your equipment operating and maintenance costs. This can be avoided however, by performing timely scheduled preventive maintenance that includes purification of the hydraulic/turbine oil. The GlobeCore Purification Process (GlobeCore Process) is designed to extend the service life of your hydraulic oils from 3-5 years to as much as 10 years. Using The GlobeCore Process therefore, will lead to significant savings in long term maintenance costs. Some of the commonly used filtering elements used in hydraulic equipment are made from fabric, composite membranes, paper, polypropylene, zeolite, fuller’s earth, fiberglass, metal fibers, ceramics, products of powder metallurgy, ion exchange resins and metal meshes. Each filtering media has both advantages and disadvantages. Considering the high degree of contamination that can be found in hydraulic fluids and oils used in modern equipment, the first filter choice seems to be to use metal mesh filters with between a 10 to 20 micron filtration fineness. There is a catch however, even a 20 micron mesh filter can only capture particles of this size nominally. That is because the orientation of particles in the liquid is random. It should also be remembered that the beta ratio of filtration describing the retention capacity is from 10 to 100 times less than metal mesh filter’s advertised fineness. Pump vibrations will also serve to further decrease the efficiency of metal mesh type filters. To restore the functionality of a contaminated mesh filter, it will require rinsing and cleaning. It is however, a complex process that requires an ultrasonic bath in detergent with heating and a very careful air purge process. Even rinsing does not fully clear all contaminants from the mesh. Thus, the life cycle of such elements is limited. Another point to keep in mind is that the price of a mesh filter is approximately five times that of single-use filter element. Fuller’s Earth is not generally used for turbine oil purification since it can capture the inhibitor and salts from the oil causing “dieseling” of the oil. Fuller’s Earth however, is widely used in transformer oil purification and regeneration. Its main advantage being the ability to undergo multiple re-activations over hundreds of regeneration and purification cycles. Centrifuges are another means of oil purification, but they cannot remove particles smaller than 5 microns from the oil. If the amount of the particulate matter is large enough, they can significantly degrade oil purity and cause equipment failures. For especially clean hydraulic fluids, electric purification is another possible choice. This is a quickly developing modern method of fluid purification. It has been tested extensively with oils stored in sealed vessels with excellent results. There has been sufficient experience in using electric purification methods for petrochemical products and crude oil to gain wide acceptance in the fluid industry. The process requires the preliminary heating of the liquid, but causes no resistance to the flow of the product and is simple to control. The intensity of the process depends on applied voltage and the viscosity of the oil product. The disadvantage of this method is that the equipment for this purification method cannot currently be installed on operating machines. One of the issues with such systems is the need for protection against electric breakdown. Another factor is the reduction of the oil’s “interfacial tension” after electric purification process. There is therefore, no single systematic approach to purification of industrial oils.